If you want to add a dove production to your show, now you won't need a custom made jacket, just attaching this gimmick to any jacket, you will be able to do it. Professionally constructed for the ardent dove-worker. Designed by a pro for the pros. Ultra smooth working. First-rate in every detail. Very easy and quick to install in your jacket. In less than 10 minutes you will have your jacket ready to produce a dove. You can use it with any jacket. High quality materials, resistant and durable fabric. 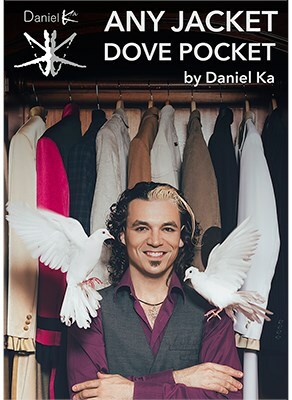 You don't need a custom made jacket to produce a dove.